This article contains fast, interesting, fun facts about Resheph for research, schools, students and kids providing an insight into the lives and religious beliefs of the ancient Egyptians. This god originated in Syria and was the god of plague and warfare. The image of the god depicts him standing to the left of his consort Qetesh. 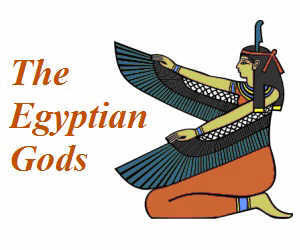 The other god is Min the Egyptian god of rebirth and renewal. 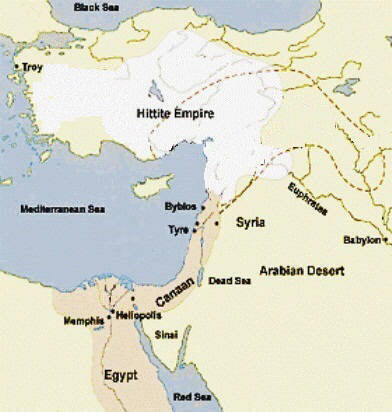 During the rise of the Egyptian Empire (see map below) the history period of the New Kingdom the ancient Egyptians were influenced by the cultures of many other countries. The ancient Egyptians adopted a policy of assimilating some of the important foreign deities, such as Astarte, Ba'al and Mekal, as they were cautious not to offend gods worshipped in other countries. This practice is called 'syncretism' which means the fusion of gods, religious practices and beliefs and their integration into an existing system. He is usually depicted carrying a weapon of war such as a spear, axe or mace, wearing a Syrian style of beard - see picture below. 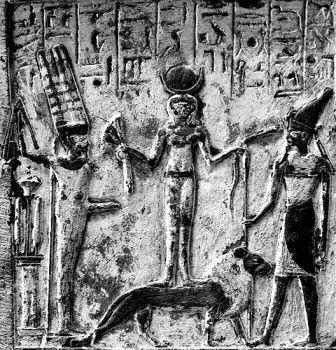 Other images show him wearing the White Hedjet crown of Upper Egypt with a flowing ribbon on the back and adorned at the front with the head of a gazelle, rather than the Uraeus rearing cobra symbol. The gazelle was hunted on the Syrian steppe. His cult centre was based in Byblos, Canaan, where a great temple to the god was built during the period of the New Kingdom. He gained a popular reputation with ordinary Egyptians as he was believed to listen to and answer the prayers of those who suffered from a sickness or disease and needed help. He was also revered as a powerful defender of the Egyptian pharaohs. In the area covering Canaan and Syria (called the Levant) the cult of this god involved his priests enacted a symbolic ritual of sacred marriage (called Hieros gamos or Hierogamy) between the goddess Qetesh and Resheph. Facts and information about Resheph for kids with some amazing, cool and quick information about ancient Egypt and Egyptians. These fast interesting facts about Resheph are ideal for children, homework, schools, teachers and kids of all ages. 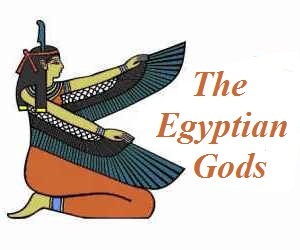 Learn about the ancient Egyptian gods the fast and easy way via the Resheph Fact sheet.